A true friend, they say, is someone who is there for you in time of need but someone who encourages bad behavior and condones wrongdoing is hardly a friend; at best, it is a very stupid friend. To that end, United States (USA) is a very stupid ally of Israel. Since its birth in 1948, Israel has been chipping away Palestine’s land, bombing civilian population without any rebuke, reprimand or actions from the United States; instead, US has always served to propagandize the idea that Hamas is a terrorist group in order to de-legitimize its objectives. Read the documentary Hamas in Black and White for a comprehensive analysis of Hamas’ role in the Israeli-Palestinian conflicts. UN which is to serve as a mediator or an enforcer depending on the case seems at best, unfortunately another arm of the United States, serving mainly the interests of the West; so, it is very little comfort to Palestinian leaders to seek help from UN. 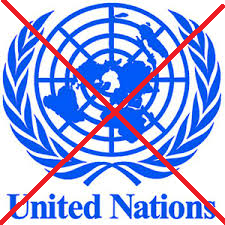 What good is UN if it cannot enforce its own resolutions? As it stands today, the State of Israel is in violation of UN Resolution 181 (II); for well over 60 years, the world has watched Palestinian lands stolen away and its civilian population decimated under constant Israeli bombardments; US solution to Hamas defending The Palestine and retaliating against Israel’s atrocities is to provide Israel with more sophisticated weapons and defense systems. Neither US nor UN seem willing to force Israel into compliance of UN Resolution; ironically when they (US & UN) decided that Iraq was not in compliance with UN Resolution 1441, US (and its Coalition of the Willing) went to war with Iraq. It is obvious US is a biased broker and sadly glaring UN is incapable of resolving the conflict or enforcing its resolution. Maybe, it’s time the international community forms a new world body which is capable of holding every country, not some, each and every country accountable and able and willing to enforce ALL of its resolutions. Read Israel Can Do No Harm to find out how Israel has mis-behaved since the beginning without any accountability for its actions.